Before I jump into this, let me just recap some of the history for those of you who are just tuning in. 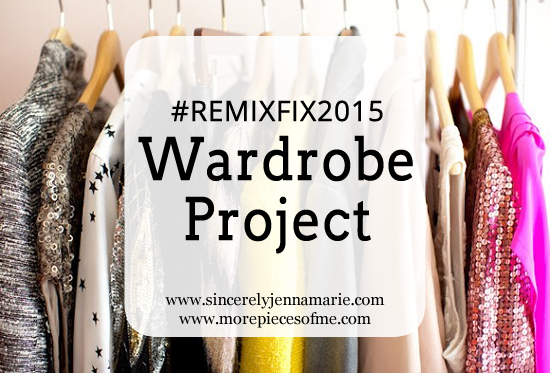 I explained the whole concept behind #RemixFix2015 here. Jenna did an amazing job picking her items AHEAD OF TIME, as I should have done, but had way too much anxiety to do so. You can see her capsule here. I took a little bit of an easier way out and picked my pieces over the last three weeks. I gave myself until the end of January to lock in my capsule, so now that the vault is sealed, I can share everything with you! Note that the majority of these stock photos are NOT my exact pieces because the actual stock photos were either unavailable or had models wearing them. I've indicated the brand/designer of my exact piece below each collage. I am also only linking to pieces that are still available. This sounds like a lot of items, but when you compare it to the bedroom sized closet full of clothes, shoes, and accessories that I own, well, this is just a drop in the pan. I could definitely pare this down a bit, but I was interested to see how many pieces I would end up with for me to feel comfortable with my capsule. And these are the initial 16 outfits that locked in all the pieces of my capsule. I was originally shooting for 12 outfits to create 2 months of outfits, but as I was nearing those 12, I knew it wasn't going to be enough and I still had gaps to fill. this is so awesome I will get many inspo from you. I LOVE this idea! Your outfits are so cute, I had no idea they were within one capsule! Oh my goodness. I cannot imagine the amount of work that went into this post! And not just putting the sets together, but from the beginning of the building phase!! 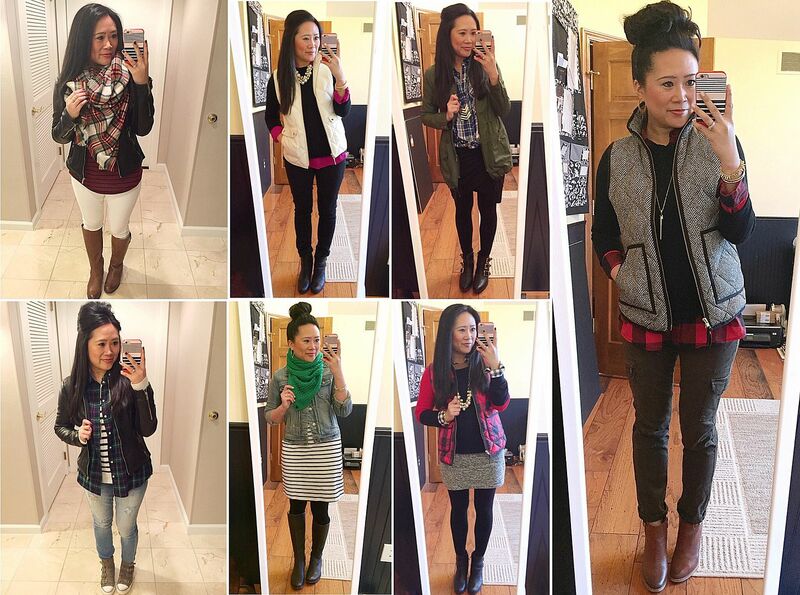 I'm so impressed that you did this, and it's amazing to see your outfits together and how they don't look like a "capsule wardrobe" to me because there is so much variety. Usually I see capsules with a lot of neutrals and not a lot of variety! Amazing! Love this idea! I'm trying to shop my closet this month and it's been fun putting together some new combos I hadn't considered previously. Your outfits are always so gorgeous, Carylee. So much inspiration. I love the idea of reusing the the same items. I truly strive to do that ! I love all of the pieces that you chose! I can't wait to see how you remix each piece! I will definitely have to try this one day. This is a random comment but dont you hate it when you try to make a collage and every piece's picture has a model in it!? Hahah it's the worst! I love what you picked -- it would be so hard to narrow it all down! What a great idea! I am the worst at putting together outfits so this was fun to look at! Stopping by from the link up! This is amazing! I keep telling myself I need to do this, but I just feel so overwhelmed! Good job. Stopping by from the link up. I love this! You have provided such great inspiration! I love your hair when you wear it up - it looks so chic! Wow, you rocked this challenge! I've seriously got to give this a try. I honestly need more closet space though, just to hang the 48 pieces away somewhere separately from the rest of my clothes so I don't get them all mixed up! I need to do this! Such great inspiration, girl! So excited to see what else you come up with!! Now this is how it is done. Great job Carylee!!! One day I will be looking to do this type of challenge. 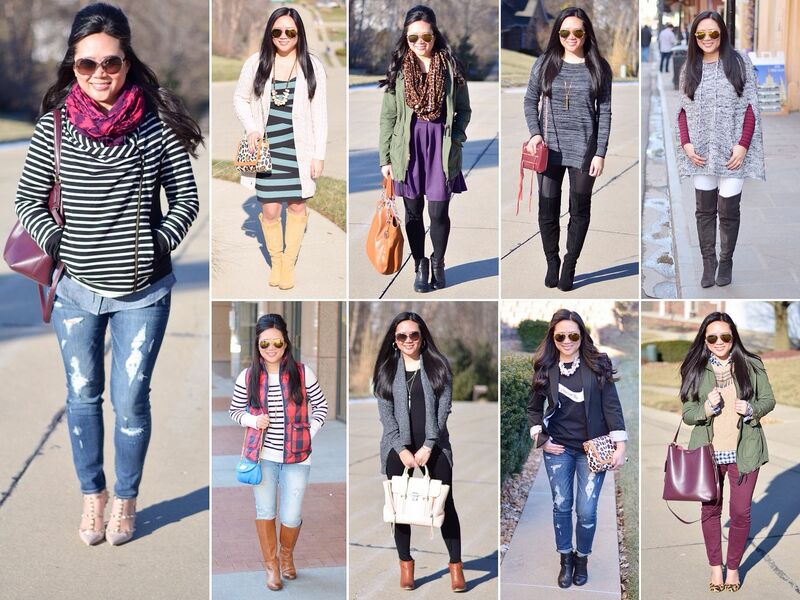 so many adorable outfits!! this is such a great idea! Thanks for linking up with Tuesday Talk to share this!! Totally agree :-) Love this post and all the work you've put into it! Gorgeous combinations.